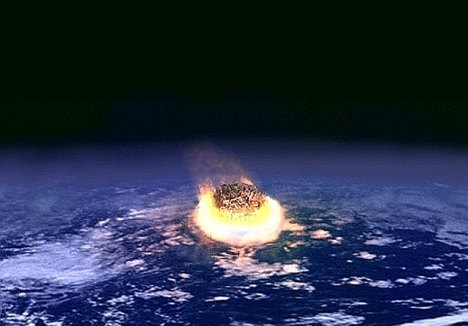 Cretaceous-Tertiary extinction event: All non-avian dinosaurs (including Ankylosaurus) go extinct. Barnum Brown finds Ankylosaurus osteoderms (armor bones) mixed with a Tyrannosaurus rex skeletion. However, at the time, and for some years afterwards, they are not recognized as belonging to a separate animal, but are assumed to be part of an armoured Tyrannosaurus relative ("Dynamosaurus imperiosus"). 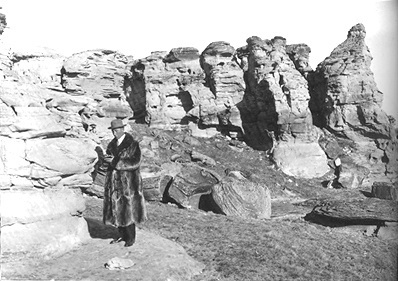 Peter Kaisen who was part of an expedition from the American Museum of Natural History led by Barnum Brown discovers the first fossils to be identified as Ankylosaurus. Barnum Brown writes the first scientific description of Ankylosaurus, and names the genus and species. An expedition led by Barnum Brown find another Ankylosaurus specimen, including a complete skull, mandibles, ribs, vertebrae, limb bones, and armor, as well as the only Ankylosaurus tail club so far found. Charles Mortram Sternberg and T.P. Channey find another Ankylosaurus specimen including the largest known Ankylosaurus skull. Ankylosaurus reconstruction features in the World's Fair in New York city. 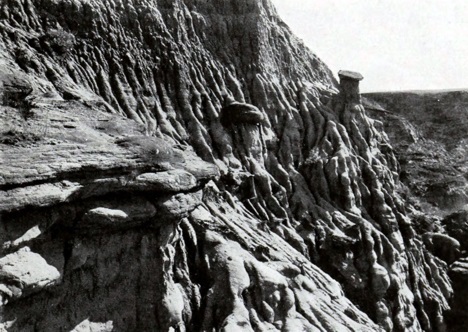 Caudal vertebrae of Ankylosaurus are found in the Powder River drainage, Montana, which is also part of the Hell Creek formation.